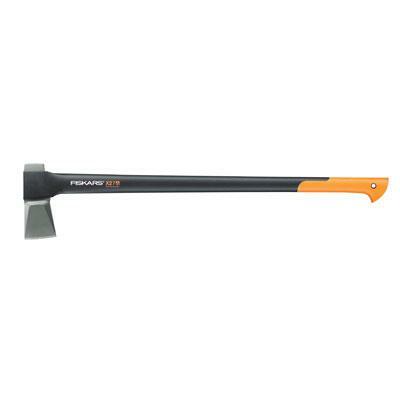 X7 14" HATCHET Ideal for chopping kindling & small logs Head will not loosen due to insert molded design Hardened forged steel blade stay sharp longer Low-friction blade coating powers through wood- and prevents head from getting stuck Shock-absorbing FiberComp lightweight handle Includes sheath for storage & transport Lifetime warranty 3785011002 14 IN. 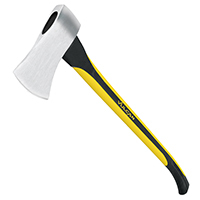 HATCHET SIZE:7/8 Lb. 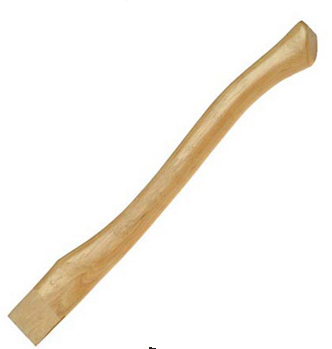 LENGTH:14"
LICKETY SPLITTER WOOD MAUL Made in America steel wood splitting maul All steel construction 34" steel handle with rubber grip Ideal for chopping or splitting wood Meets or exceeds ASME standards 1113090800 12# LICKSPLIT MAUL SIZE:12 Lb. 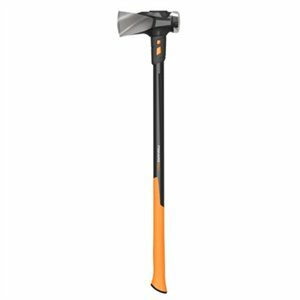 SPLITTING AXE Virtually unbreakable handle made of Nyglass Head will not loosen due to insert molded design Sharp & durable fully hardened blade and edge Includes sheath for storage & transportation Non-stick coated, forged carbon steel blade Wedge-shaped blade for easier, faster splitting Lifetime warranty 378531-1002 23 IN. 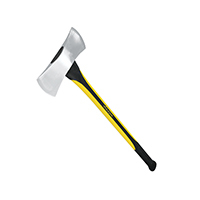 SPLITTING AXE SIZE:1-3/4 Lb. LENGTH:23-1/2"
AXE EYE WOOD SPLITTING MAUL Durable design wood splitting maul has axe - eye configuration handle Used for splitting wood or driving wood - splitting wedges 36" American made hickory handle absorbs - shock before it reaches the user Made in the USA 1113115200 8# AXE EYE MAUL SIZE:8 Lb. MICHIGAN STYLE SINGLE BIT AXE General purpose single bit axe used to fell - small trees, split wood & trim & prune branches Polished and beveled cutting edge 36" American hickory turned style handle 5 lb. 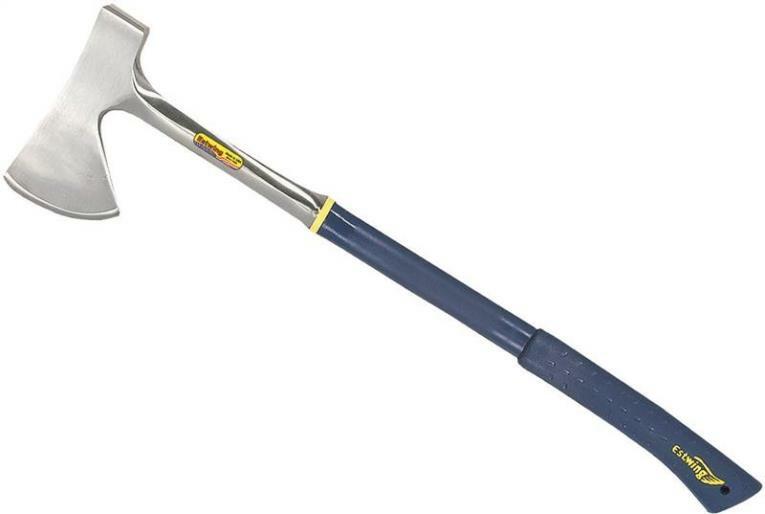 head weight AX-5 MICHIGAN SINGLE BIT AXE SIZE:5 Lb. 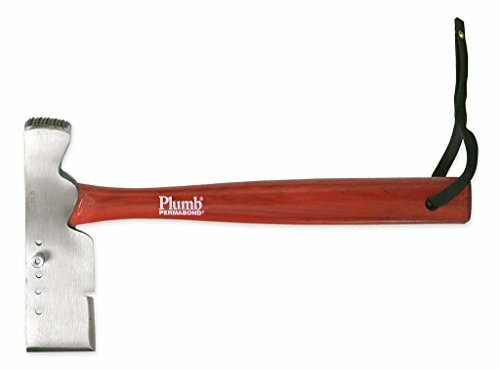 HANDLED SLEDGE HAMMER Forged heat-treated head for ultimate in - durability and safety Used for general applications in striking - wood, concrete, metal and stone 36" hickory handle provides natural - shock absorption 1199700 16LB SLEDGE HAMMER SIZE:16 Lb. 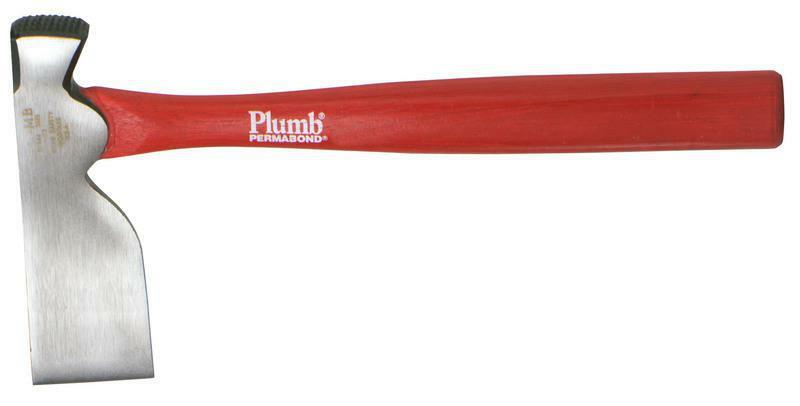 Length:36"
FIBERGLASS HANDLED SLEDGE HAMMER Double face forged steel sledge hammer High carbon steel & tempered for hardness 34" fiberglass handle for maximum core - strength and safety Eye size for 34" models is 1 x 1-3/8" For destruction work, breaking dry wall or - masonry walls 1197600 6LB FG SLEDGE HAMMER SIZE:6 Lb. 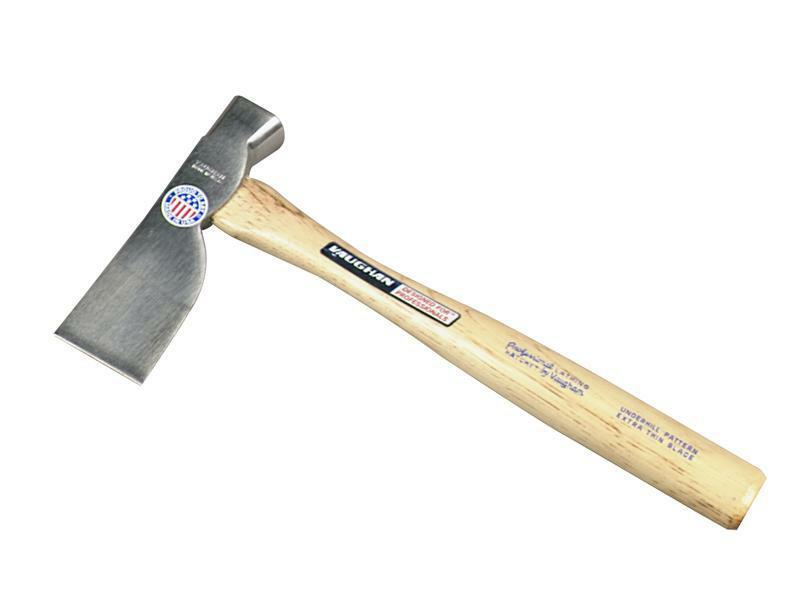 LENGTH:34"
SHINGLER'S HATCHET Fully polished head with adjustable gauge Checkered face-draw knife-inner blade Hickory handle with leather strap Permabond head to handle construction Overall length 13" Permabond construction between head & handle Designed for the expert shingler 11558 24Oz SHINGLING HATCHET LENGTH:24 Oz. BIT SIZE:2-1/8"
BOY SCOUT AXE HANDLE Replacement Boy Scout axe handle Grade 19 Better Quality American Hickory Clear lacquer and fire finish for highly - pleasing appearance For frequent and heavy-duty use 368-19 14 IN. SCOUT AXE HANDLE LENGTH:14" DESC:#19For 1-1/4 Lb. Axes, Eye: 1-5/8"x 19/32"
3-1/2 LB. 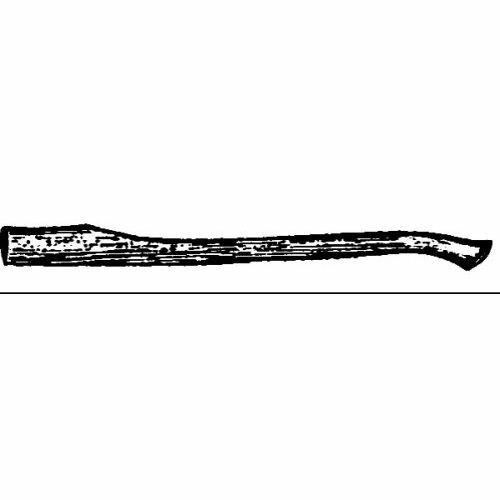 SINGLE BIT MICHIGAN AXE Michigan style single bit axe Used to chop small pieces of wood and clear - branches from trees and shrubs 3-1/2 lb. forged steel head High quality hickory handle absorbs shock Will not splinter and lasts for years Proudly made in the USA 1113090100 3.5# SGL BIT MI AXE SIZE:3-1/2 Lb. 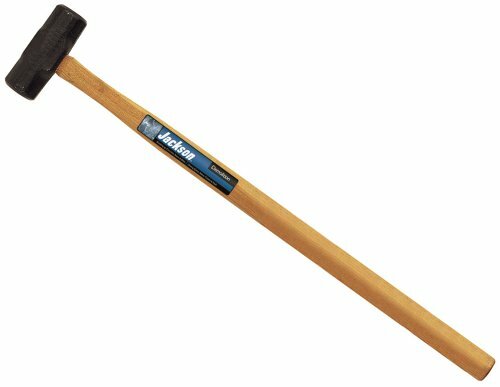 HANDY MATTOCK AXE Straight American hickory handle Combination axe and trencher HMA 2LB MATTOCK AXE SIZE:2 Lb. LENGTH:26"